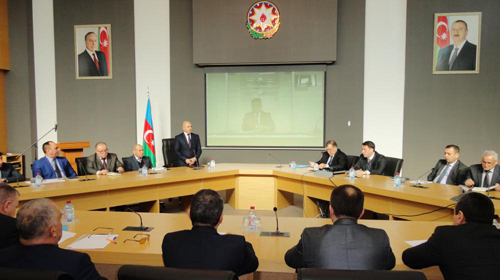 The amendments made to the Civil Procedural Code of the Republic of Azerbaijan by the Law on December 28, 2018 passed by the legislative initiative of the President Ilham Aliyev were discussed by presence of judges of the courts and officials of the apparatus referring to the jurisdiction of Baku Court of Appeal. 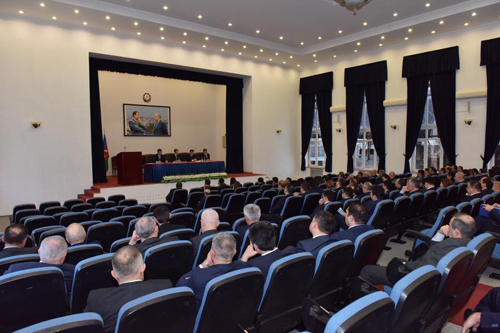 The chairman of the court Iman Naghiyev opened the event and noted that, the amendments made to the Civil Procedural Code are the integral part of the radical reforms carried out on modernization of judicial system in our country. 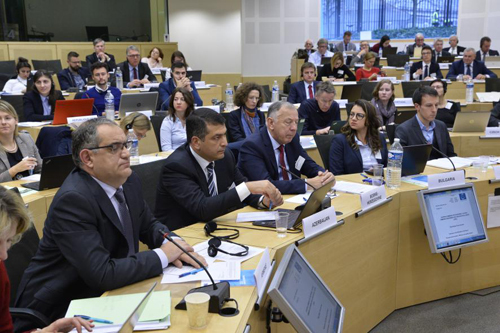 He stressed that, systematic and expedient measures were realized in the field of automation of judicial activity and digitalization of justice judgement process within the frame of continuous development of Azerbaijan justice. The judicial-legal reforms founded by the national leader Heydar Aliyev are continued successfully under the leadership of the President Ilham Aliyev and on the basis of this the judicial system is modernized, citizens access to the justice judgement is simplified, important works are carried out with relate to enlargement of appliance of modern ICT and “electron court” information system. The judge s corps was strengthened with new-generation lawyers. The judges work weight is considerably reduced by completing the majority of the current vacancies, and therefore there are made conditions for qualitative and timely consideration of the works. The appliance of the “Electron court” information system for the purpose of simplification of people s opportunities to appeal to the courts takes the important place in the row of systematic and expedient measures carried out under the leadership of the head of state on increase of efficiency of justice judgement recent years. As an obvious case of this, we may show the progressive amendments made to the Civil Procedural Code of the Republic of Azerbaijan on December 28, 2018 by the legislative initiative of the head of state. 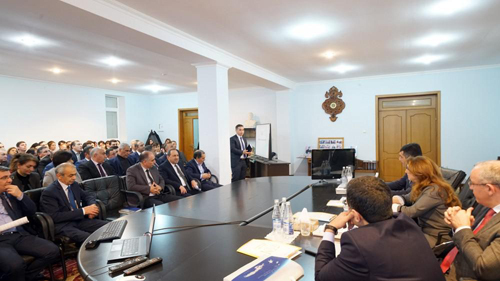 For the purpose of execution of new legislation, there was held training for the judges of Shaki Court of Appeal and first instance courts referred to its jurisdiction in Shaki Court Complex. Systematic measures are continued to be realized in the direction of increase of efficiency of justice judgement within the frame of judicial reforms founded by the national leader Heydar Aliyev and realized under the President Ilham Aliyev. Special attention is paid to rendering effective services to the population, elimination of cases causing corruption and increase of citizens satisfaction. As an obvious case of realized events, there were made amendments to the Civil Procedural Code of the Republic of Azerbaijan by the Law on December 28, 2018 by the legislative initiative of the head of state. The judicial-legal reforms, laid down by national leader Heydar Aliyev, have been successfully continued under the leadership of President Ilham Aliyev, the judicial system is modernized, the legislation is improved, the judicial power is strengthened and the self-governing authority is expanded annually. The judicial and legal reforms, laid down by national leader Heydar Aliyev, are successfully implemented under the leadership of the President of the country Mr. Ilham Aliyev, consistent and purposeful measures are being taken to improve the judicial system.